The BMW 3 Series established the compact sports sedan segment and laid the foundation stone for the world’s most successful premium model series. Munich. If there is such a thing as a typical BMW, then it is without a doubt the BMW 3 Series. In the medium-size class it is considered the embodiment of the sports sedan and has maintained this leading role for many years unchallenged at the top of the premium segment. Since debuting in the year 1975, more than 12 million customers worldwide have purchased a BMW 3 Series, even though the car cannot be associated with any typical customer segment. So the reasons for this remarkable success are manifold. 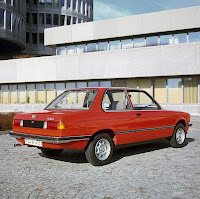 Then as now, the BMW 3 Series concept was unique – a compact and elegant body design, modern and efficient engines, a classic rear-wheel drive concept and a sporty suspension setup. The result was a maximum degree of driving dynamics and agility. Moreover, BMW demonstrated a strong sense for the spirit of the time and the individual wishes of potential customers. This in turn resulted in innovative body concepts and additional technical features that competitors were unable to offer. In this respect as well, the BMW 3 Series was the first to set the benchmark in the midrange sports sedan segment. The latest examples of this are the measures implemented within the framework of BMW EfficientDynamics, thanks to which the BMW 3 Series achieves the lowest fuel consumption and emission levels in its class. The BMW 3 Series Convertible, the BMW 3 Series Touring, the BMW 3 Series Coupé and the BMW 3 Series Compact eventually followed the sedan – the best-selling model variant in the global market. In addition, BMW designed the high-performance sports sedan BMW M3. The success story of the world’s most widely sold premium car began 36 years ago with a two-door version. 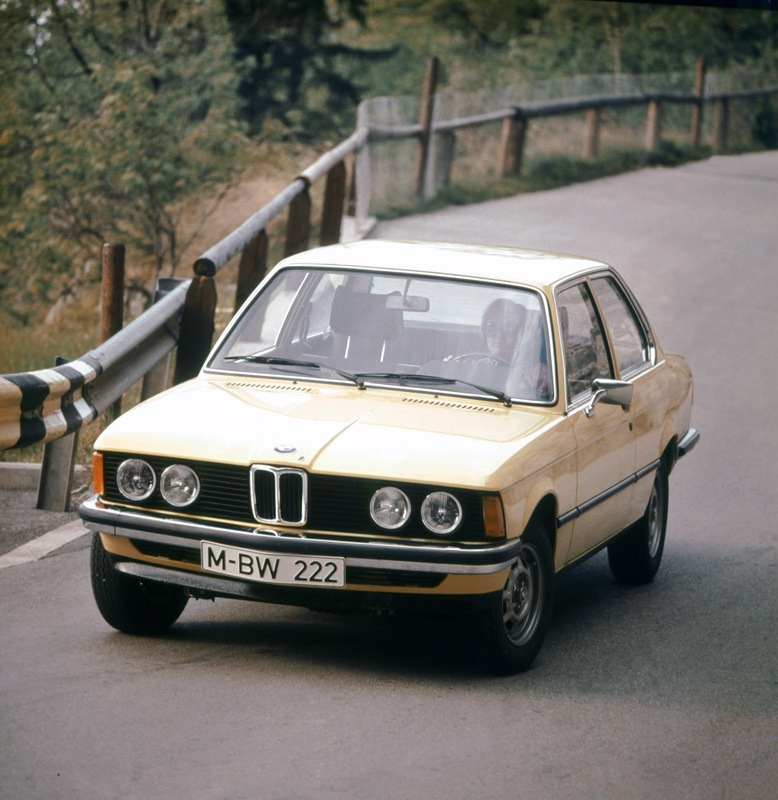 With the presentation of the first BMW 3 Series in July 1975, BMW opened a new chapter in the history of the automobile. Right from the start, the two-door sedan with compact dimensions and a sporty character has its very own distinctiveness. The kidney grille dominates the front end and with a length of 4355 mm, a width of 1610 mm and a height of 1380 mm, the new car has a compact but at the same time ‘grown-up’ appearance. Track widths of 1364 mm at the front and 1377 mm at the rear provide the car with a powerful look. This is complemented by state-of-the-art, sporty suspension technology with a McPherson front axle as well as independent wheel suspension on trailing arms and spring struts at the rear. The car is powered by four-cylinder engines with a displacement of 1573, 1766 and 1990 cc respectively. The model designations are 316, 318, 320 and 320i. With the exception of the fuel-injected engine, all power units are designed to run on regular petrol. An absolute novelty is the interior design with a cockpit inclined towards the driver, this remaining a typical feature of the BMW interior for many years. Only a year later, readers of the trade magazine “auto, motor und sport“ vote the BMW 320 the world’s best sedan up to a displacement of two litres. 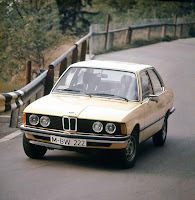 In 1977, the BMW 3 Series features the segment’s first six-cylinder engine, the models 320 and 323i being fitted with disc brakes all round especially for this purpose. The BMW 323i in particular soon gains a reputation as a supreme, athletic model, which – with a power output of 105 kW/143 bhp – accelerates effortlessly to a speed of 190 km/h. 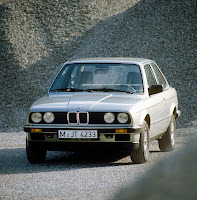 A survey held in 1980 shows: performance, handling and a sporty design are the main reasons for buying a BMW 3 Series. Four out of five customers would buy the car again. 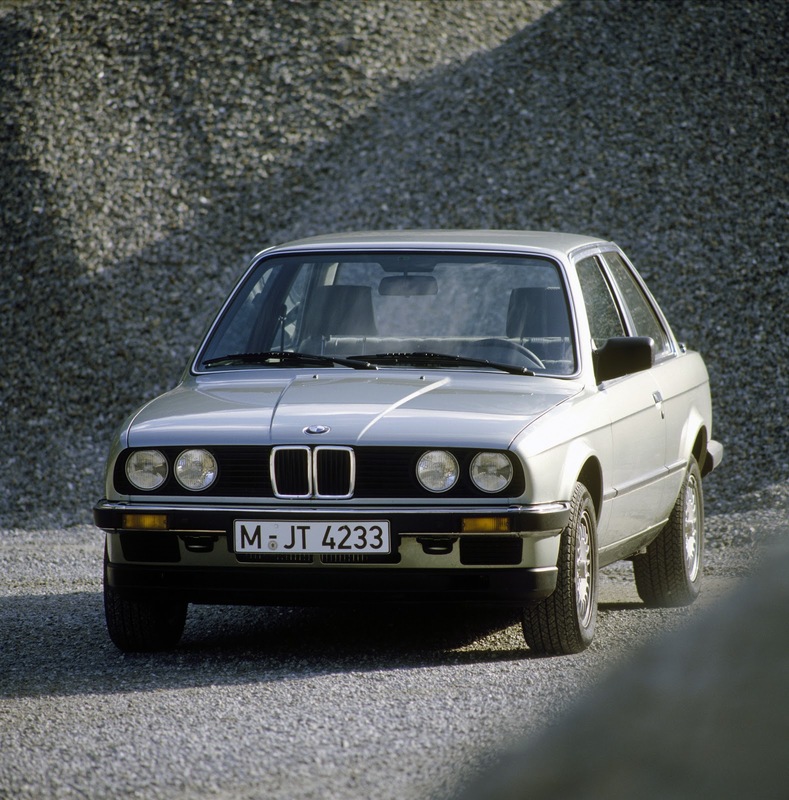 In 1981, the millionth BMW 3 Series rolls off the assembly line after just six years of production, making it the most successful BMW of its period. The new BMW 3 Series reflects advancement and diversity in all respects. A new design, optimised aerodynamics, more space and comfort, higher power output as well as additional body and engine variants. BMW has consistently extended its most successful model range, offering bespoke solutions to suit customer tastes. This generation celebrates the debut of a family-friendly four-door car (1983), the BMW 3 Series Convertible and the BMW M3 sports car (both 1985). Today, the first BMW 3 Series Convertible is a classic car that is extremely popular with many fans of the brand. With the attractively styled 1987 touring version, BMW proves that driving fun and high utility value as well as space and functionality need not contradict each other. Furthermore, the first diesel and the first four-wheel drive models are incorporated into the BMW 3 Series. The successful result of this strategy: With more than 2.3 million units sold, sales of the predecessor model is even exceeded by a million. 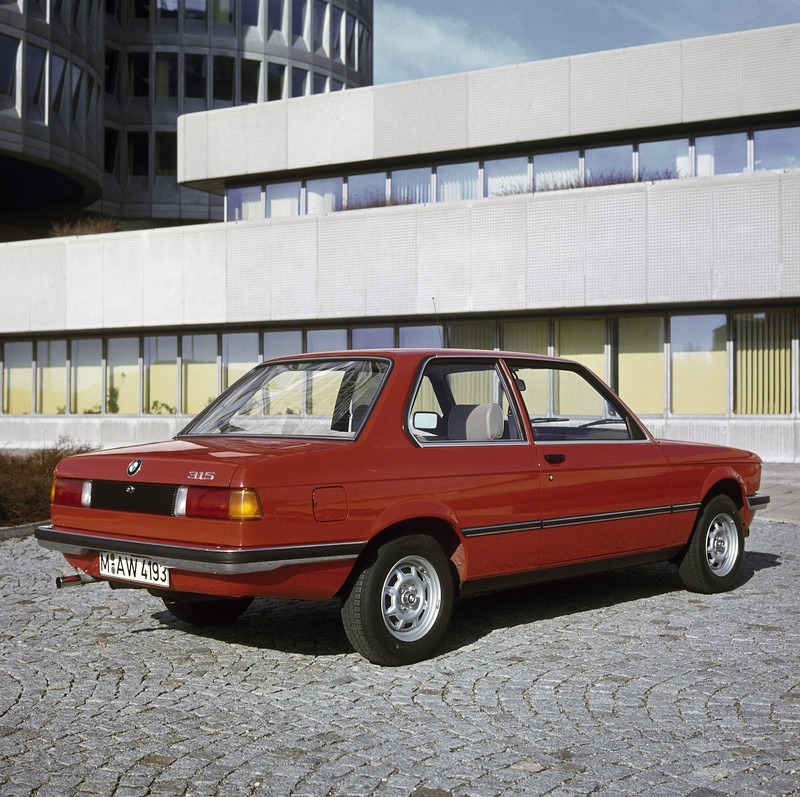 With the eta six-cylinder engine introduced in 1984, BMW launches a new fuel-saving concept. The 325e is powerful, economical – and clean: the first BMW 3 Series that is available exclusively with a catalytic converter. 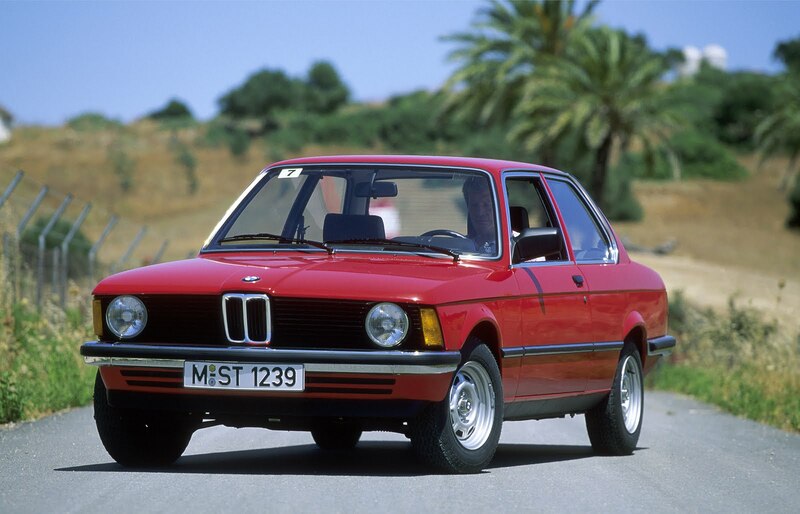 Those responsible demonstrate courage with the 324d, the first premium sports sedan based on the 3 Series. In addition, the ultra-powerful 325i makes its debut. 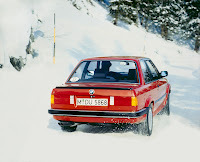 As a 325iX, the car is equipped with permanent four-wheel drive. The transfer gearbox with viscous clutch facilitates the use of ABS, which is fitted as standard on both models. 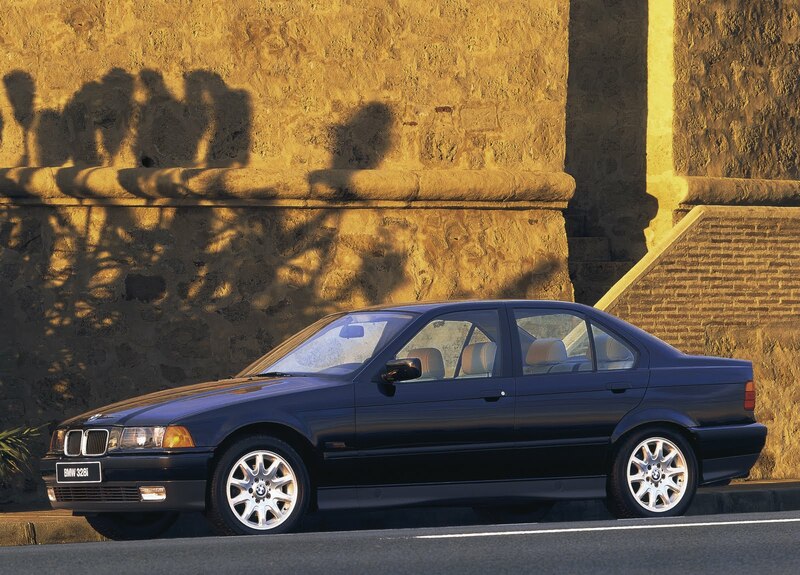 1989 sees the arrival of the 318is, this being BMW’s first production four-cylinder car featuring a four-valve cylinder head. In 1990, the four-door sedan marks the launch of the third generation. The car boasts a high level of elegance and innovative technology. It has also become significantly larger and more spacious. The two-door version follows in 1992, but this time as an extremely elegant coupé. Just a few months later, BMW adds two further highlights – the new convertible and the new BMW M3. 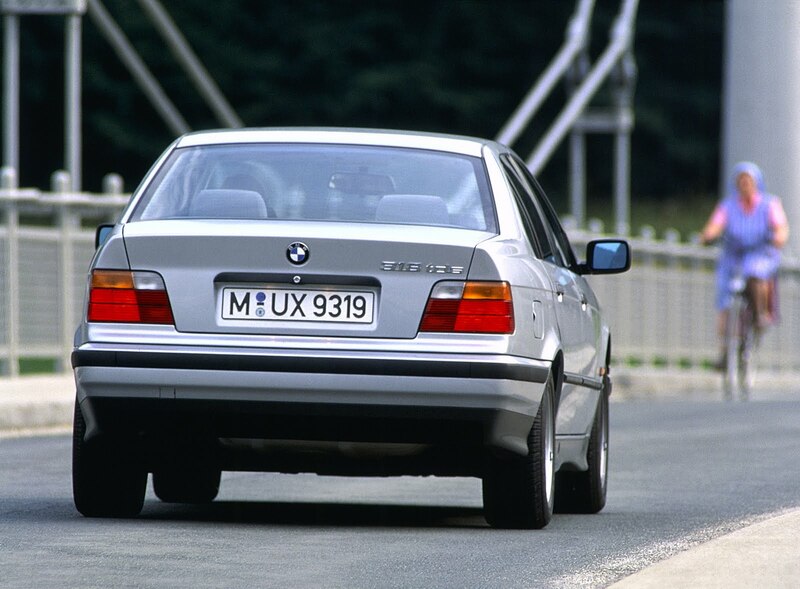 With the BMW 3 Series Compact of 1994, BMW designers succeed in realising yet another conceptual innovation. It appeals predominantly to fans that attach importance to economy, without wishing to forego dynamics and comfort. The tailgate of the 4.21-metre long BMW is a particularly practical feature. The new six-cylinder models are equipped with two camshafts and four valves per combustion chamber. The power units in the coupé version feature for the first time VANOS variable camshaft control, a new technology that enhances the torque curve, lowers fuel consumption and emission levels and allows engineers to increase compression. Two further newcomers are the 325tds featuring a six-cylinder diesel engine including turbocharger and intercooler as well as the first four-cylinder turbo diesel under the bonnet of the 318tds. At the turn of the year 1994/95, BMW also adds a lightweight aluminium crankcase to the six-cylinder engines. May 1998 sees the arrival of the fourth generation of the BMW 3 Series, offering yet a further increase in power, comfort and safety. The new model is four centimetres longer and wider than its predecessor, the interior also having grown accordingly. 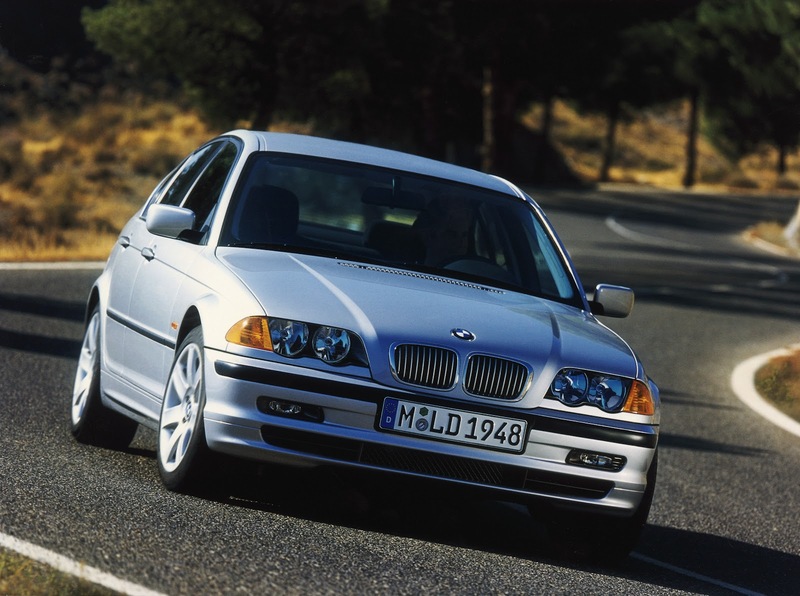 At the end of 1999, the BMW 3 Series climbs to third place in the registration statistics, something a car in this class has never achieved before. The brand’s first diesel direct injection engine makes its debut in the 320d and the 318i is equipped for the first time with two balance shafts. The technically most prominent measure implemented on the six-cylinder petrol engines is the introduction of double VANOS. Along with the intake and exhaust camshaft, this fully automatic and infinitely variable adjustment technology provides the engine with a ‘beefier’ torque curve and further reduced emissions. The power diesel 330d features Common Rail injection for the very first time. 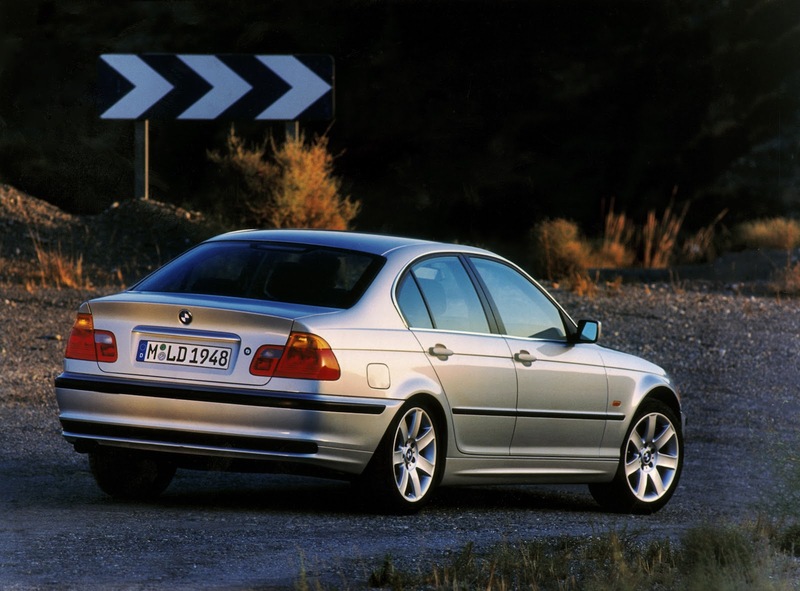 In 2001, BMW presents the throttle-free load control system Valvetronic. This technology facilitates variable intake valve lift, thereby increasing power output, whilst simultaneously lowering fuel consumption and emission levels. Only a short time later, Valvetronic goes into large-scale production. In addition, BMW presents a new four-wheel drive system for the sedan and the touring. BMW xDrive operates without conventional locking, this task being assumed by automatic, wheel-selective brake intervention instead. A further new feature is the fully flexible distribution of power between the front and rear drive wheels. Moreover, fourth-generation trendsetters include the BMW 3 Series Coupé and the 3 Series Convertible, which are now available with a diesel engine and cleverly combine driving fun, styling and practicability. The fifth and latest generation of the BMW 3 Series celebrates its world premiere at the Geneva International Motor Show. The new combination of powerful engines, dynamic and refined handling characteristics, a distinctive design and innovative equipment features is well received all over the world. The BMW Efficient Dynamics development strategy is now demonstrating how the pleasure of driving a BMW 3 Series can be brought into line with exemplary fuel economy and low emission levels. For example, all petrol engines feature direct injection technology High Precision Injection, which is utilised in the six-cylinder models 330i and 325i and in the four-cylinder versions 320i and 318i in fuel-efficient lean-burn operation. In the BMW 335i, the injection system is combined with TwinPower Turbo technology and fully variable valve control Valvetronic. In order to optimise weight, BMW utilises an aluminium crankcase or an even lighter magnesium-aluminium composite. 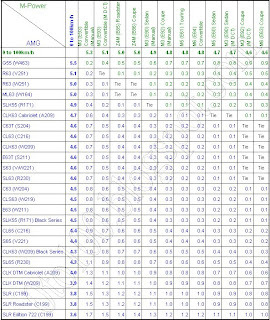 In the model year 2010, all engines fulfil the EU5 emission standard. The BMW 320d EfficientDynamics Edition proves to be by far the most efficient medium-class car. The Common Rail direct injection engine of the third generation delivers 120 kW/163 bhp with an average fuel consumption of only 4.1 litres of diesel per 100 km in the EU test cycle. The CO2 emission level is around 109 grams per kilometre. Finally, all current BMW 3 Series models benefit from brake energy regeneration, the four-cylinder models with manual transmission also having an Auto Start Stop function. 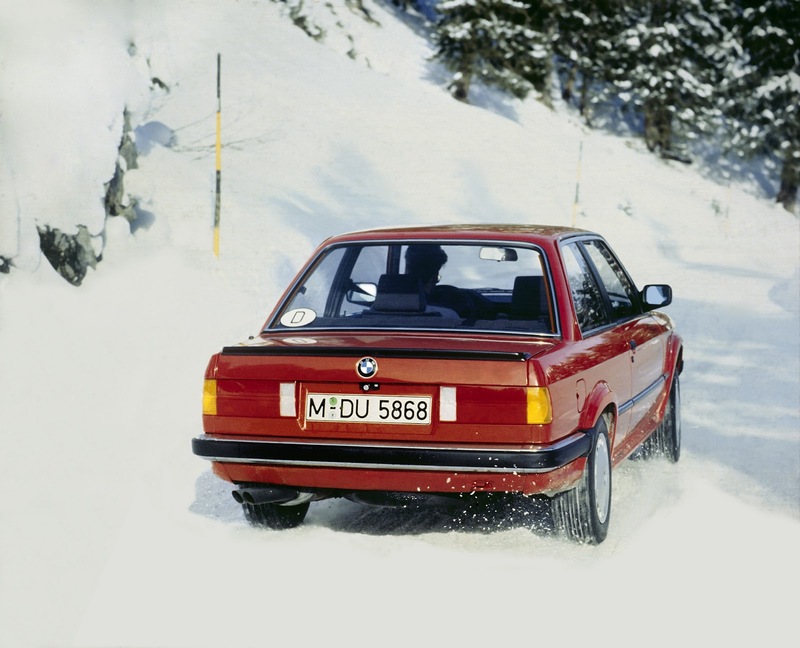 During the course of the past 36 years, BMW has constantly continued to extend its lead in the midrange sports segment. The BMW 3 Series displays its sporting origins in various variants and performance classes more convincingly than any other vehicle in its class. At the same time, BMW again and again proves to be an innovative trendsetter and forerunner, not only with engines and drive technology. The success story will continue as the sixth generation will soon be in the starting blocks. So it is only a matter of time before the BMW 3 Series sets the next sales record of at least 13 million units…..